In this installment of Warmboard Works, we talk to Remko T. from Ontario, Canada, who built his home in 2018 near the shores of magnificent Lake Erie. He’ll recount for us his experience building and living with Warmboard in his family’s 2,650 sq ft home and 1,100 sq ft detached garage. 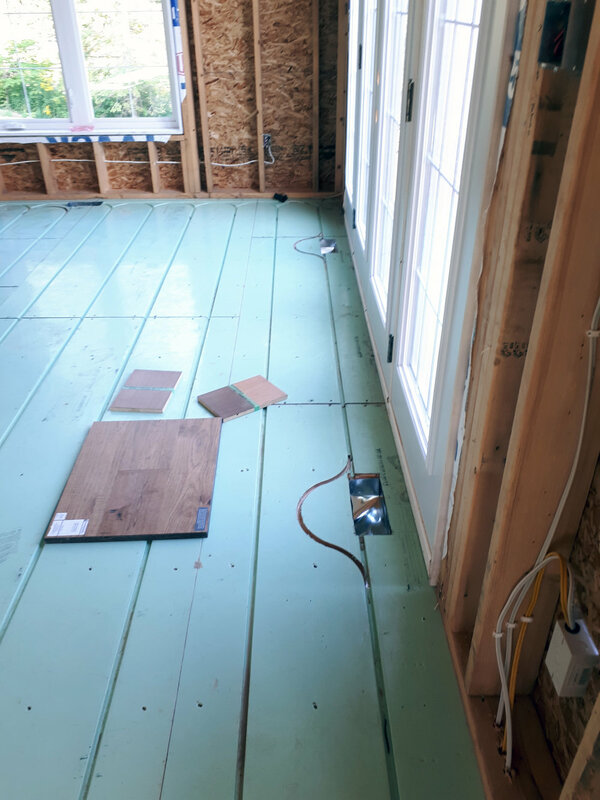 “We chose Warmboard for our new home that we built last year and couldn’t be happier! 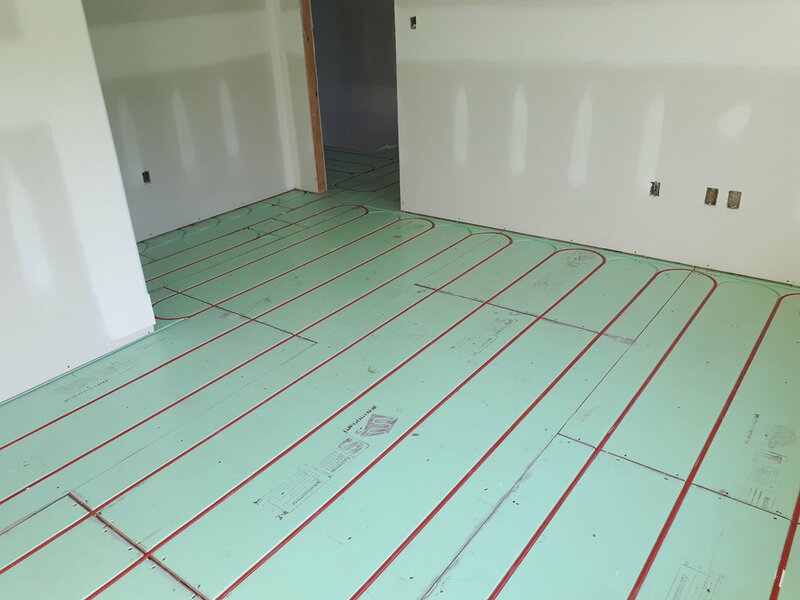 We considered all the options available for floor heat and found that the extra panel cost for a Warmboard system was worth it. We were not disappointed! The panels arrived on time and the framers had no trouble putting it in following the layout plans. 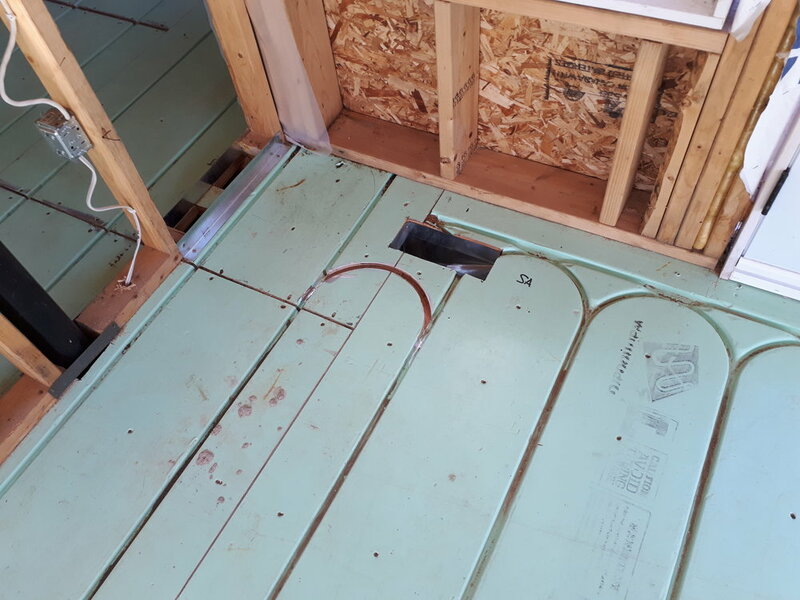 House construction can be tough on subfloors but Warmboard held up amazing! I also waited on installing the pex tubing until the walls were up and the plumbing, wiring and exterior wall insulation was done. I did the custom router loops myself with the template kit provided. I ran all the pex lines according to the plans provided to the manifold locations just before the drywallers started. We decided to keep it simple by making one heat zone for each the basement, the main floor, the top floor, and the detached garage. The hot water heater is another zone. We did not use slab sensors anywhere, just thermostats in each zone. The boiler we chose is a 160,000 btu IBC Canadian-made boiler. It has 5 built-in zone controls and an outdoor reset thermostat as well. It’s a very simple and well-built boiler and incredibly easy to operate. Overall, we are thrilled with our warm floors! Our Warmboard system heats the house very evenly and very comfortably. We are pleased with the fast response to both raise and lower the temperatures in the house as desired. I run the water temperature in the floor between 110°-125°F which gives us great response times and is lightning fast! I’ve also noticed the heating keeps up easily when it is below 0°C outside. During the day we typically keep it at 19°- 21°C and at night we set it down to 17°C. The cost to heat the house to 19°C and the garage to 15°C is on average $300-350 per month with propane @65cent per liter. This is a bit disappointing but I’m anticipating the cost will decrease at least 33-50% when natural gas comes through in the near future.